Early morning Monday, April 1st, online internet juggernaut AniTAY revealed the name of their new era: the Yuiwa Era. The Yuiwa era replaces the short-lived Chikawa era that arose with the advent of Kaguya-sama: Love is War. 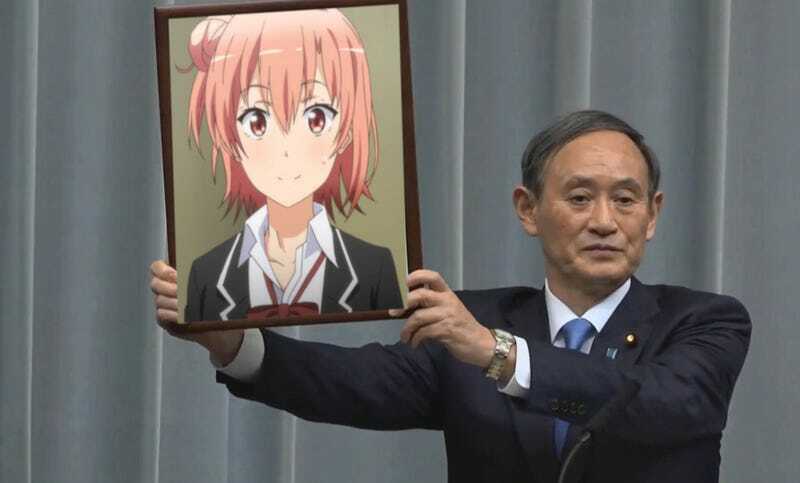 The news stems from the announcement of the third season of My Teen Romantic Comedy SNAFU and in anticipation of the third coming of the fabled Waifu Wars. AniTAY’s Supreme Leader Dexomega and First Mate ProtonStorm oversaw the decision but played no part in its creation. Sources tell us that the decision to determine and announce a new era is decided by a panel of third-party renowned scholars, scientists, and established waifuologists. This era’s committee included distinguished scholars Gugsy, Dilkokoro, NomadicDec, Barack Obama, and Stranger. Inside sources inform us that deliberations were heated, with insults including “degenerate,” “wimp,” and “weaboo trash” thrown around before finally coming to an agreement. Finally, we acquired (through legitimate means) the draft names considered for this new era: Yukinowa, Irowa, Shizuwa, and Kowachi. Stay tuned to AniTAY for more breaking news and cultured discussion regarding the upcoming third Waifu War.